Virgil Abloh raised attention last week at PFW (Paris Fashion Week) when he displayed his Off White Womens SS19 collection which featured 6 Olympic athletes, New collaborative Nike shoes, Tulle Skirts, Fitted athletic wear and plenty of bright colors but what stole the show was an amazing white & highlighter green tulle gown. 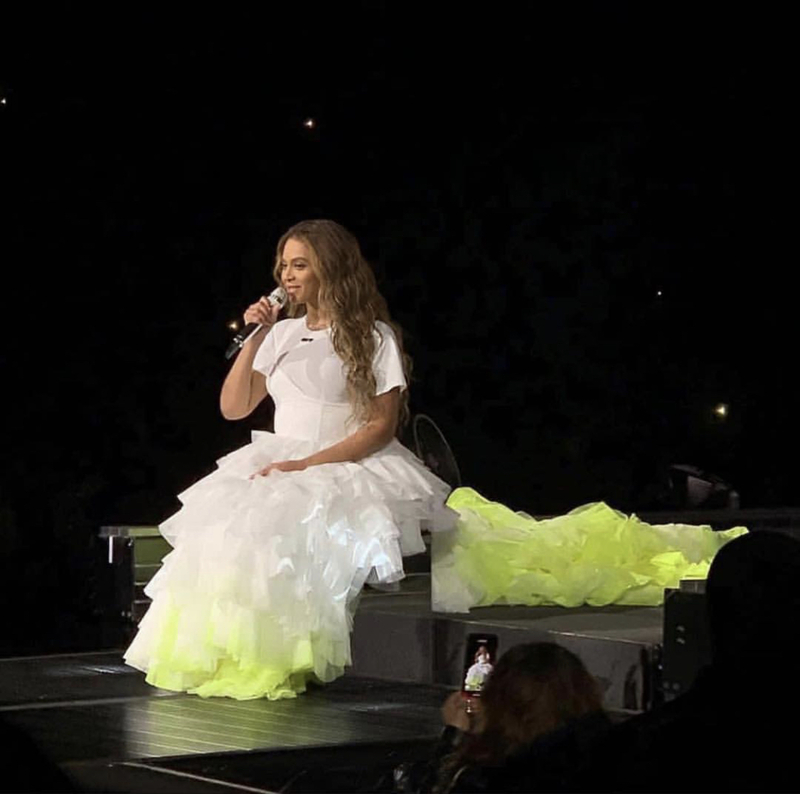 That gown which was displayed last week as previously stated was worn by none other than “Queen Bey” last night at her On The Run II tour in Seattle. As Beyoncé performed her heartfelt 2006 song Resentment she came out in that amazing Off White tulle gown that blew people away by its beauty and also shocked many at the fact it also glows in the dark.